Scientists' recent discovery of the Melksham Monster has changed everything we thought we knew about crocodile evolution. Crocodiles have been around for hundreds of millions of years, but they continue to surprise us. Scientists recently discovered a new species of extinct crocodiles that lived 163 million years ago, and this discovery has changed what we thought we knew about crocodile evolution. The new species has been nicknamed the Melksham Monster after the English town where its fossilized body was discovered. It was a saltwater crocodile that lived in the shallow, warm seas of Europe during the Middle Jurassic Period. It probably would have eaten prehistoric squid. 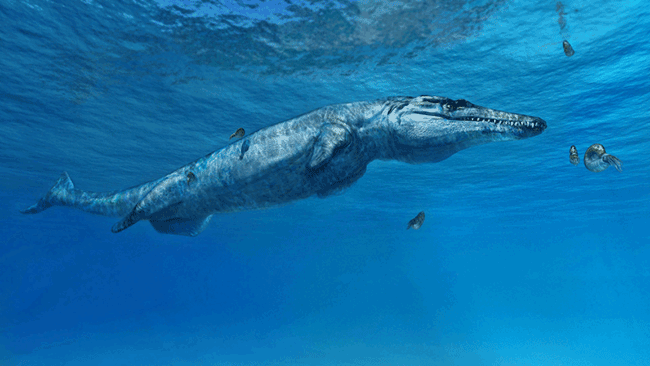 At 10 feet long, this ancient crocodile is a bit smaller than modern crocodiles. The Melksham Monster is not an ancestor of modern crocodiles, but modern crocodiles do share a common ancestor with the Melksham Monster. The fossil of the Melksham Monster was actually discovered way back in 1875. But back then, they didn't have the necessary tools to extract the fossil from the Oxford Clay Formation. With a name like the Oxford Clay Formation, you'd think this spot would be soft. But it's not. Diamond-grinding wheels had to be used to separate and pull the specimen from the rock. 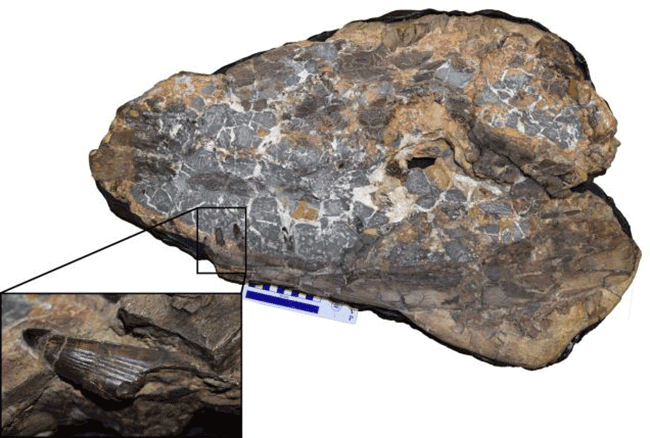 The fossil was badly damaged, but researchers got enough qualitative data from the skull, lower jaw and teeth to conclude this is a new species of ancient crocodile. These crocodiles evolved earlier than we thought. The coolest part of this discovery is that it overturns what scientists used to think about the evolution of crocodiles. The Melksham Monster belongs to a sub-family of prehistoric crocodiles called Geosaurini. Scientists used to think this group evolved about 152 million years ago, but the fossil of the Melksham Monster is from 163 million years ago. Knowing that this group of crocs evolved significantly earlier is key information in the study of ancient crocodiles, and how they ascended to the top of the food chain in their ecosystems.